Summer in Athens promises to be a truly special experience. WomenSing will spend 10 days performing , doing cultural exchange with local choirs and participating in a music festival. The Grand Finale of WomenSing’s 50th Anniversary Season was our 6th international tour, this time to the Alta Pusteria International Choral Festival in Northern Italy. 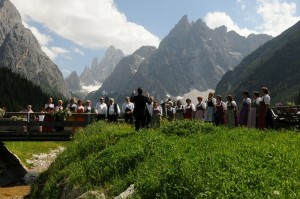 Here amid the Dolomites, said to be the most beautiful mountains in the world, we shared our music on an international stage. Over the course of four days, there were no less than 60 performances, including our own, up and down the narrow valley. We were challenged by the opportunity to sing in such varying venues as concert halls, churches, music pavilions, alpine refuges and castles and were inspired and enriched by the experience of hearing choirs from around the world and making new friends. Our tour finished up in Lake Garda with a final performance and relaxing cruise. 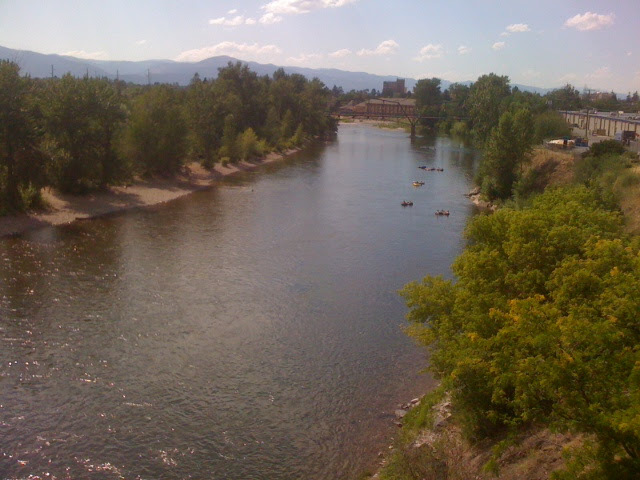 "I truly loved the trip to Missoula: days filled with a stimulating variety of music performed by outstanding choirs from eleven different countries, walks beside the lovely Missoula River, the company of the exceptionally warm and interesting members of WomenSing, the opportunity to see GlacierPark... I'm still basking in the pleasure of it all." "Our first day in Missoula, each choral group performed, so we were able to see many of the international groups. 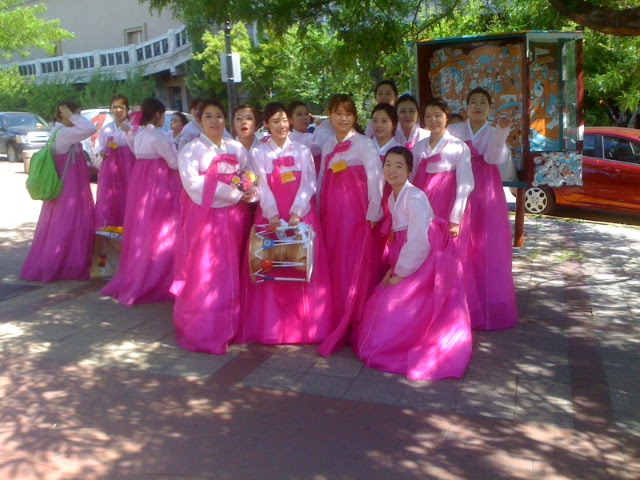 The Korean choir was standing near us and when I took a picture of them--looking like tulips in their hot pink dresses--they turned around and posed! They loved having their picture taken!" "At the massed choir performance on the final night of the festival, I found myself next to one of the sopranos from the choir from Germany. I spoke no German and she spoke no English, but we were able to connect with each other about our shared love of that beautiful music." "There is just something about WomenSingers travelling and singing together as a choir that brings us all closer together. It was a tremendous honor to lead WomenSing into the Parade of Nations with the Stars and Stripes at the finale concert! I still get a bit verklempt when I think of it." 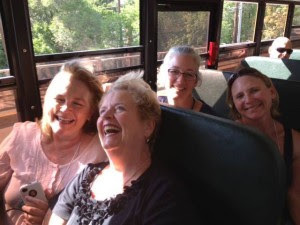 WomenSing took the Youth Inspiring Youth repertoire on the road to Washington, D.C. in early May. The Library of Congress sponsored our concert at St. Patrick’s Church along with a River of Words workshop called “Sing a River of Words.” The River of Words project has furnished the youth poetry that our YIY composers have set to music for treble voices. Underscoring the theme of youth in music, we arranged to perform Wit and Fright (2009), a delightful YIY composition from the first year of the program, with the Peabody Children’s Chorus from Baltimore. Other YIY pieces on the concert program included Unseen Secrets (2010) and A Precious Pearl (2011). 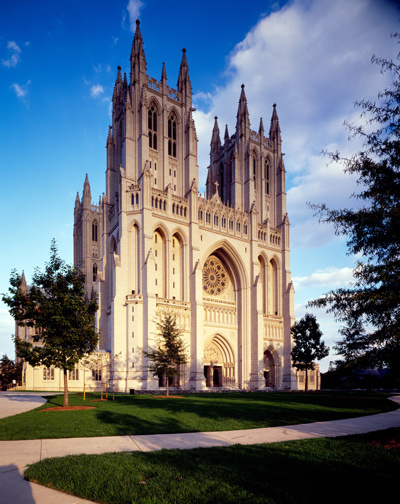 The Washington National Cathedral invited WomenSing to perform a cappella sacred music just before their Evensong service on a Sunday afternoon. We were thrilled to perform in a venue with such historical significance — and such remarkable acoustics. Where better to perform Ron Jeffers’ inspiring arrangement of Amazing Grace? Watch WomenSing as they perform Amazing Grace at their Spring Concert. We also performed a noon-time concert at the Old Post Office Pavilion. Centrally located between the White House and the U.S. Capitol, this venue offers international cuisine, diverse shopping, and daily musical events for residents, workers, and tourists. This informal performance gave us a chance to introduce the YIY repertoire to a much more diverse audience. Check out the newsletter for details about this fabulous trip. 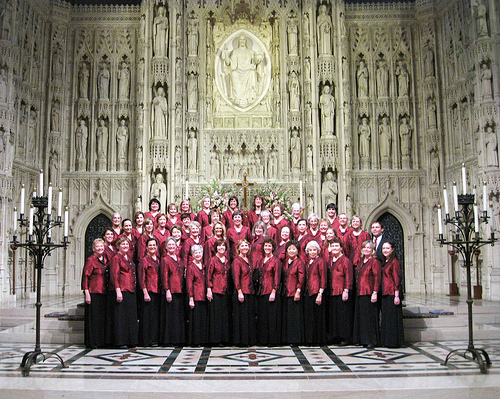 In the summer of 2007, WomenSing travelled to Spain. Their performances in the 25th Annual International Music Festival of Cantonigròs, the music festival at the monastery of Sant Pere de Rodes, and the Santa Maria del Pi church in Barcelona were extraordinary. WomenSing was the sole participant from the United States at the competition in Cantonigròs. (See the newsroom page of this site for a complete story and more photos.) While touring the cities and villages of Spain, singers and companions found the history and architecture of the region completely in accordance with the music they perform: diverse, with unexpected contrasts between the old and new. The experience was unforgettable. Sant Pere de Rodes where WomenSing performed on opening night. | Festival performance at Cantonigros. In April 2005, WomenSing undertook an exciting 10-day concert tour of Argentina, homeland of our Artistic Director Martín Benvenuto. 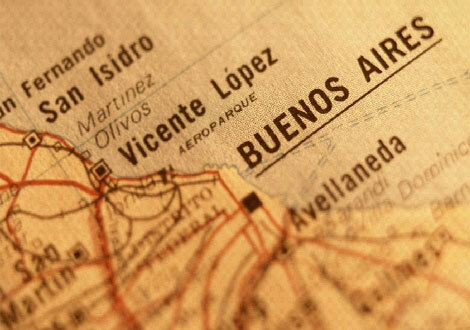 The tour began in Montevideo, the capital of Uruguay, with a performance at the Teatro de la Universidad. From Uruguay, we crossed the Rio de la Plata by ferry to Buenos Aires, Martín’s home city, for several days of wonderful venues and sharing concerts with local choirs. In Buenos Aires we presented two concerts, the first in the Salón Dorado del Teatro Colón, an internationally renowned venue for opera and classical music that inhabits a full city block. Two days later, we performed at the Aula Magna de la Facultad de Derecho. WomenSing’s final concert of the tour was performed in Mendoza at the foothills of the Andes. WomenSing members wait in the lobby of the ferry terminal in Montevideo, Uruguay, for the 3.5 hour ride to Buenos Aires. In Uruguay, WomenSing Artistic Director Martín Benvenuto prepares the chorus for an appearance on national television. 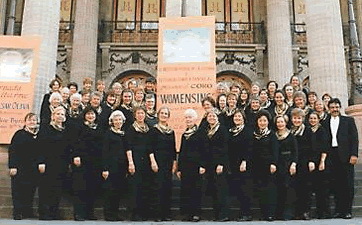 In March 2001, WomenSing traveled to Mexico, performing in opera houses, cathedrals and museums in Mexico City, San Miguel de Allende, Guanajuato, and Guadalajara. In March 2000 the group traveled to Vancouver, BC to perform a Benefit Concert for the Vancouver Children’s Choir Choral Society. In the winter of 1998 WomenSing traveled to Mainland China , singing in Beijing, Suzhou, and Shanghai. After a concert collaboration with the renowned Beijing Children’s Choir, the Chorale was able to host the children on their first tour to the San Francisco Bay Area in January 1999. Their visit included a tour of San Francisco, performance at San Francisco City Hall, home-stays, and a sold-out concert arranged and underwritten by WomenSing.